I am a Rockford Native. I attended Rock Valley College and then transferred to the University of Illinois. I graduated with my Bachelor of Art Degree in 1976. I worked as a Social Worker in the Rockford community from 1976-1982. I attended St. Louis University School of Law in St. Louis, MO graduating at the top of my class in 1985. I was sworn into the bar in November of 1985 and began practicing law in the St. Louis area. I returned to the Rockford area in 1987. I worked in a variety of firms before focusing on a workers’ compensation practice in 1991. I focused my practice in workers’ compensation, Social Security disability, and personal injury since 1991. I opened my own practice in August of 2000. In January of 2015, I along with Tracy Jones, formed Black & Jones Attorneys at Law. I am a member of the Winnebago County Bar Association, the Illinois Bar Association, the American Bar Association, and the National Organization for Social Security Claimant Representatives. Additionally, I am licensed to practice law in the State of Illinois. Since 1991, I have served thousands of injured workers throughout northern Illinois. I have provided legal services to more workers’ compensation clients than any other attorney in northwestern Illinois. I am dedicated and compassionate in my representation of the injured worker. I work tirelessly to see that each of the people I represent receives the best he or she deserves. I am married with three adult children. I enjoy my time outdoors, traveling, and flying. I was raised in Rochelle, Illinois. I graduated from Rochelle Township High School in 2000. I attended Northern Illinois University, graduating with a Bachelor of Arts degree in 2003. I received my Juris Doctorate from The John Marshall Law School in Chicago in May of 2006 where I was a member of the Phi Alpha Delta International Law Fraternity and the Women’s Law Caucus. While pursuing my law degree I worked as a judicial clerk for Chief Judge Donald C. Hudson as well as other Circuit and Associate Judges in the 16th Judicial Circuit. I began working for The Law Office of Jim Black & Associates in May of 2006. Upon being sworn in to practice law by the Illinois Supreme Court in November 2006, I moved into the role of an Associate Attorney. In January 2014, I became the managing attorney in the firm. Then in January 2015, I became an Owner/Partner of the firm after which the name of the firm changed to Black & Jones, Attorneys at Law. My passion is to aggressively represent the rights of individuals injured while working, ensuring that all the clients I help get the benefits they deserve. While growing up, my family owned a small auto repair business. I was always taught that employees are a vital and important part of a business’ family. Too often in today’s society, employees mean very little beyond a number to employers, and when those employees dedicate everything they have to working and get hurt, employers often turn their backs on them. It’s my job to make sure that the injured workers are taken care of and get the medical treatment and benefits they are entitled to, without having to lose everything in the process. I am a member of the American Bar Association, Illinois State Bar Association, Workers’ Compensation Lawyers Association, and Winnebago County Bar Association where I previously held the position of chair and vice-chair of the Workers’ Compensation Section. I am co-author of IICLE Chapter 5. I am married with two children. In my free time, I enjoy reading, spending time with my family outdoors, participating in charity events, and hanging out in our old hotrods at car shows. I was born and raised in the Rockford area. I attended the University of Illinois at Champaign-Urbana, graduating with a Bachelor of Science degree in 2004. I received my Juris Doctorate from Cleveland Marshall College of Law in Cleveland, Ohio in May of 2008. While pursuing my law degree I worked as an extern in the criminal division of the United States Attorney’s Office in Cleveland, Ohio. I then worked for The Law Offices of Gerald R. Walton & Associates, a civil litigation and criminal defense firm in Cleveland, Ohio. I became an associate at Black & Jones in May of 2009. I currently practice in both workers' compensation and Social Security disability. I am a member of the Illinois State Bar Association and the Winnebago County Bar Association, and I am licensed to practice in the state of Illinois. I am married and enjoy spending my free time with my wife and son. I also like to golf and am an avid sports fan. I was born in Rockford and have lived in the area for my entire life. I attended Rock Valley College and Rockford College, obtaining my undergraduate degree in Political Science in 2008. I graduated from Northern Illinois University College of Law in 2012. While in law school, I interned with the Zeke Giorgi Legal Clinic in Rockford, where I worked in elder law and represented elderly clients in a variety of matters. I also interned with the Office of the State Appellate Defender in Ottawa, writing Appellate Briefs for criminal cases. I became an associate with Black & Jones in October of 2013. I am a member of the Illinois State Bar Association and the American Bar Association. I currently reside with my husband and daughter and our dog, a German Wirehaired Pointer. In my spare time, I enjoy reading, going to the gym with my husband, and taking my dog to the park. I was born in Joliet, Illinois and have lived in Illinois my entire life, graduating with a Bachelor of Arts in Political Science and Legal Studies in 2015 from the University of Illinois-Springfield. I received my Juris Doctorate from the University of Illinois College of Law in Urbana-Champaign in 2018. Throughout my education, I participated in many law-related activities and am proud of my work in the legal field as a student attorney, an intern in the Will County Office of the Public Defender, and as Notes Editor on the Journal of Law, Technology, and Policy. 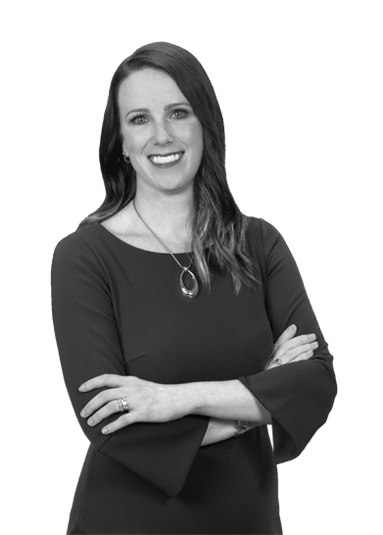 I joined Black & Jones as an Associate in 2018 and currently practice workers’ compensation and Social Security. In my spare time I enjoy camping, watersports, live music, and collecting vinyl records.